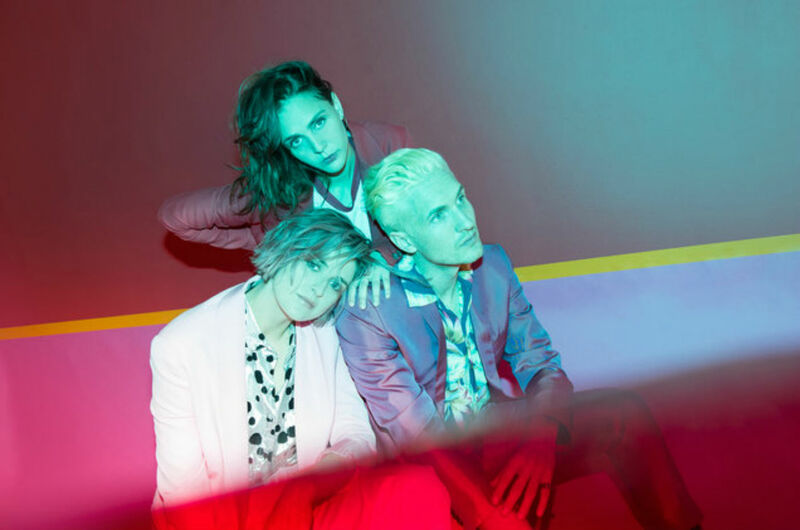 Concert Review: Dead Sara in Chicago 09/29/2018 - GENRE IS DEAD! Rock n roll is not dead yet as long as Dead Sara is around. Even though they’ve been making music for a few years, the band is finally out on their first headline tour in support of their new EP, Temporary Things Taking Up Space. On Saturday (Sept. 29), they brought their raw blend of punk rock, blues, and psychedelic rock to Beat Kitchen for a sold out show and it was an unforgettable evening that left you sore and tired. Rock band Welles kicked off the evening and did a great job setting the raucous tone for the night. Playing songs like “Seventeen,” “Codeine,” which frontman Jeh-sea told the crowd was “about drugs,” “Seasons,” and the rowdy “Rock N Roll,” they quickly won over the crowd with their fuzzy, psychedelic rock and chill vibe. They even did a hard-driving cover of The Cure’s “Lovesong,” which turned the mellow tune into an edgy rock cover full of distortion. Jeh-sea was charming with his weird banter and relaxed attitude. He comes off as the type of guy that just wants to relax, have a smoke, and have a good time. They had some feedback issues, but they played on without missing a beat. Welles left the room buzzing with energy as everyone impatiently waited for the main event. It wasn’t long ‘til the lights went down, and droning sirens blared signalling Dead Sara’s arrival. The crowd nearly exploded when Siouxsie Medley, Emily Armstrong, Sean Friday, and Mark Sanchez stepped out on stage. They wasted no time and launched into “Suicidal” with a roar and a howl to the elated cheers of the crowd. Their set was a non-stop barrage of pure adrenaline, chaos, and hard-hitting rock and roll. Watching Dead Sara on stage is an experience. It’s like being in the church of rock n roll with Armstrong as your pastor. They sounded better than they do on record putting so much energy, passion, and fire into their performance. They played favorites from their first two albums, like “Lemon Scent,” “Monumental Holiday,” “Mona Lisa,” and “Mr. Mr.” along with “Heaven’s Got a Back Door,” “Times to Remember,” “Anybody,” and “Unamerican,” from their latest EP, which got a huge boot stomping response from the crowd. The only time the band gave you a chance to catch your breath was with the solemn ballad “Face to Face,” which showcased Armstrong’s powerful vocals. If you listen to Dead Sara’s albums you already know how good they are, but it’s a totally different experience seeing them live. The stage is clearly Armstrong’s element since she’s so captivating. Everything she does commands your attention. When she’s up there doing her thing, you dare not look at that text message or send out that tweet; you can’t keep your eyes off of her. She wildly bounces around stage brandishing her guitar like a weapon. And she pushes her vocals to the limit. Her yelps and howls reverberating throughout the venue leave you with chills. Even with mic issues plaguing the night, Armstrong didn’t let it stop her and it never slowed down the momentum of the night. Her prowess on stage makes her one of the best, yet underrated frontwoman in rock. By the end of the night, everyone was out of breath from headbanging and dancing, but Armstrong asked the crowd to go even harder one more time for the last song of the night, “Weatherman.” Everything was cranked up to 11 with the band attacking their instruments and feeding off the boundless energy of the crowd. The moment peaked with Armstrong climbing on top of the amp as the band quieted to a lull. The tension built waiting for those final notes to hit, waiting for Armstrong to say “go.” After a moment of silence, Armstrong leapt from the amp back onto the stage, but she wasn’t done yet. Shortly after she leapt into the crowd for some brief surfing. As the last note rang out, the band waved goodbye and high-fived people as they walked through the crowd cheering them on. While their set was brief at 13 songs and left you wanting more, Dead Sara put on an unforgettable show. They’re a force of nature on stage riding high on energy, absorbing all the could from the crowd, and giving it back to them. They give it their all where every note they play hits you like in a way where you can feel it course throughout your body. No matter if they’re playing small dive bars or large stadiums, Dead Sara always kills it. If you don’t see them on this tour, you’re seriously missing out.